From the diamond radiator grille to the signature sloping roofline and powerful rear, the Mercedes-Benz GLC Coupé cuts an impressive figure from any angle. Striking a perfect balance between the fluid lines of a sports Coupé and the all-action athleticism of an SUV, this is a car that simply demands to be driven. The GLC Coupé Sport is brimming with ingredients to enhance the sporty exterior: with sophisticated highlights all round, it comes with chrome trim and bold 18" alloy wheels painted in vanadium silver, as well as a set of eyecatching tailpipes. While the stylish LED High Performance headlamps come with integral LED daytime running lamps, you’ll also enjoy intelligent features once inside. The latest Garmin® MAP PILOT navigation system and the Active Parking Assist with PARKTRONIC and reversing camera will not only help guide you to your destination but also assist you in parking your GLC Coupé Sport. The system helps to find a suitable space to park and actively manoeuvres the vehicle into the space, relieving the driver of steering and braking. Meanwhile, heated front seats and the interior lighting package add to the sophisticated atmosphere on board. The GLC Coupé AMG Line takes sportiness to the highest level, courtesy of our AMG performance experts. First, you’ll notice the AMG bodystyling and the 19" AMG alloy wheels painted in titanium grey. The interior continues the athletic theme with seats in ARTICO leather,¹ AMG sports pedals and AMG floor mats with embroidered ‘AMG’ lettering. The AMG sports steering wheel with its flattened bottom section gives you a firm grip and allows for sporty handling. The Mercedes-AMG joins the GLC Coupé line-up. The only petrol model, this V6 GLC 43 4MATIC combines powerful performance with sporty looks. The ‘BITURBO 4MATIC’ lettering points to all-wheel drive for superior driving dynamics, matched by bicolour 19" AMG alloy wheels in a 5-twin-spoke design. AMG bodystyling, ‘AMG’ lettering on the front brake calipers and on the distinctive diamond grille also reflect AMG’s style in typical athletic fashion. The interior theme is characterised by an aluminium trim set against black with red highlights. It features red contrast stitching on the ARTICO leather¹/DINAMICA microfibre sports seats and on the ARTICO leather¹ dashboard, red seat belts and floor mats with black leather edging, AMG logo and red piping. The GLC Coupé blends classic coupé styling elements and distinctive Mercedes-Benz SUV design language to dramatic effect. Longer and lower than its SUV counterpart, it has a powerful, athletic stance, with a high belt line and dropping roof creating added visual impact. Other eye-catching touches include the large air intakes, wraparound LED High Performance headlamps, and striking diamond radiator grille – complete with chrome pins on the AMG Line. Inside the GLC Coupé you’re immediately struck by the quality and attention to detail on display. From the heated front seats in ARTICO leather¹ to the distinctive dashboard and centre console, the cabin combines high-end materials and finishes with dynamic, contemporary style. To maximise your driving enjoyment, on-board tech includes the Audio 20 CD system with Bluetooth® music streaming, Garmin® MAP PILOT navigation and high-resolution 7-inch multimedia display. 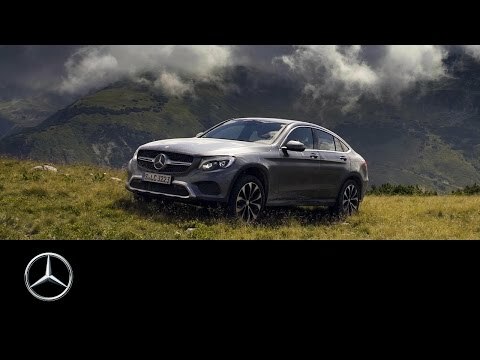 The GLC Coupé is equipped with a range of technologies to maximise comfort, convenience and safety.  Active Parking Assist with PARKTRONIC, which identifies suitable parking spaces and automatically steers the vehicle into them. A reversing camera provides added reassurance when manoeuvring the Coupé. There’s also a range of driver assistance systems, such as COLLISION PREVENTION ASSIST PLUS, which helps you maintain a safe distance to the vehicle ahead, and even intervenes with autonomous partial braking if required. Optional equipment includes a 360º camera system, giving an all-round view of the vehicle’s immediate surroundings, and headlamps with the LED Intelligent Light System for enhanced visibility in all driving conditions. With its sculpted surfaces and sweeping roof line, the GLC Coupé offers exceptional aerodynamic performance. Coupled with a choice of muscular 4-cylinder diesel engines, the result is a potent blend of athleticism and efficiency. The GLC 220d 4MATIC not only accelerates from 0 to 62 mph in 8.3 seconds but also returns 56.5 mpg¹ combined with CO2 emissions from 131 g/km. The GLC 250d 4MATIC matches those efficiency figures yet covers 0 to 62 mph in only 7.6 seconds.